Home / 2014 / books / christmas / fictional characters / harry potter / movie / news / novels / pottermore / wizarding world of harry potter / Rowling’s Christmas gifts for Harry Potter fans! Rowling’s Christmas gifts for Harry Potter fans! 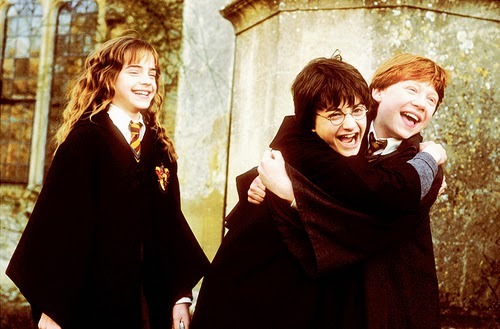 Christmas is almost here and guess what J.K Rowling has prepared for her loyal Harry Potter fans? 12 new Harry Potter stories will be posted from 12 to 23 December 2014 on her website, Pottermore as Christmas presents for all “Harry Potter” maniacs out there! If you did not know, Pottermore is the author’s interactive social media created to let fans of Harry Potter explore and learn more about the wizarding world of Harry Potter as Rowling updates exclusive new entries on the characters from the beloved book from time to time. “Christmas is coming early to Pottermore. Starting Friday, December 12, we’ll be releasing a surprise for you every day on pottermore.com at 1pm GMT (8am EST). According to Rowling, the 12 new stories will include a ghost story, a new potion recipe, as well as her thoughts on Harry Potter’s nemesis, Draco Malfoy. The books and films are already a huge success. Plus the theme parks, the inspired hotel and school and let’s not forget the spin-off “Fantastic Beasts and Where to Find Them”…and now this!